On April 10, 2016, two Americans from Nebraska were killed in a fire while sailing on an Amazon river cruise in Peru. The couple was sailing on a 31-passenger river boat, on a charter excursion sponsored by International Expeditions, when a power strip in their room sparked the blaze. In the investigation following the tragedy, Peruvian authorities found numerous safety violations, including the lack of a working fire alarm in the couple’s room. 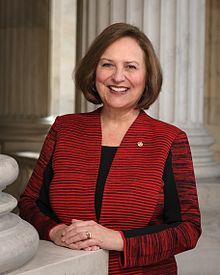 Today, three years after the tragedy, Senator Deb Fischer of Nebraska announced that she is introducing a law to help the families of those who die due to cruise company negligence. Writing in the North Platte Telegraph, Senator Fischer says that a 99-year-old law, known as the Death on the High Seas Act (DOHSA), is preventing the Hammers’ children from collecting the damages that they rightly deserve. The DOHSA was originally envisioned as a way to “provide for the widows and dependents of seamen who died while working on ships in foreign waters.” Because the Hammers were retirees, and died together, the DOHSA severely limits the compensation their children can collect. Senator Fischer is introducing legislation to change this. Though the law, if passed, may not directly help the Hammers’ children, it will have a tremendous impact on those who lose loved ones due to cruise company negligence in the future.